Did you know...? Minnesota is a hotbed of bumble bee species diversity. We are home to 22 of North America’s 49 species of bumble bees. 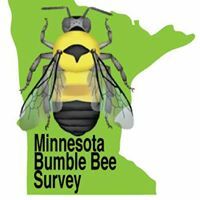 This August, there's still time to help document these bees by joining the Minnesota Bee Atlas Bumble Bee Survey! Take a look at why and how it's done in this new video narrated by Extension Educator Elaine Evans. For more than a decade, Evans has been accumulating data with the help of volunteers across Minnesota. She is also a bee researcher with the University of Minnesota Entomology Department. 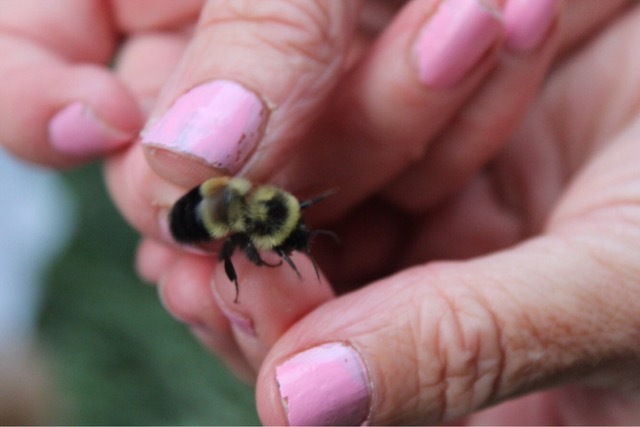 The survey is taken in parks in Minnesota to document the range and abundance of bumble bees, as well as the variability of populations between years. Several bee species in particular (Bombus affinis or the Rusty Patched Bumble Bee and Bombus terricola or the Yellow-banded bumble bee) have disappeared from other parts of their range and are in need of conservation. Others species such as the yellow bumble bee (Bombus fervidus) and the American Bumble Bee (Bombus pensylvanicus) also seem to be in decline. Bumble bees are easily captured with plastic cups and lids while foraging on flowers. They're held for just a few minutes to be identified, counted, marked and released. Evans says the risk of being stung is little to none, as the bees simply return to the flowers after their brief capture. Volunteer to monitor a bee nesting block or make your own and report what you see. Please remember this season to Bee-Friendly!